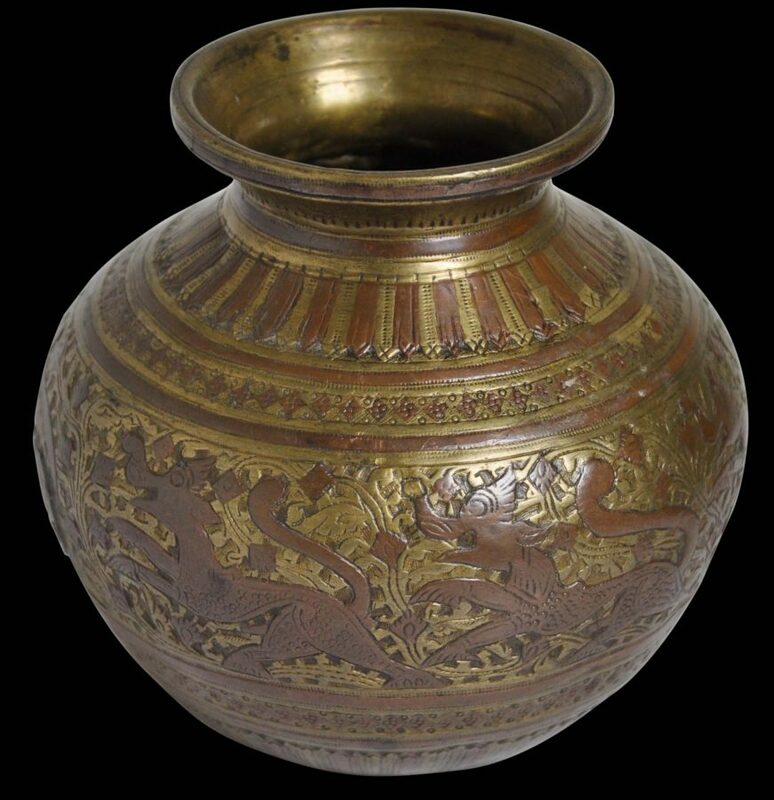 This well-proportioned, small water vase or lota has a flattened, spherical form, sits on a flattened base, and has a narrowed neck and a wide mouth. 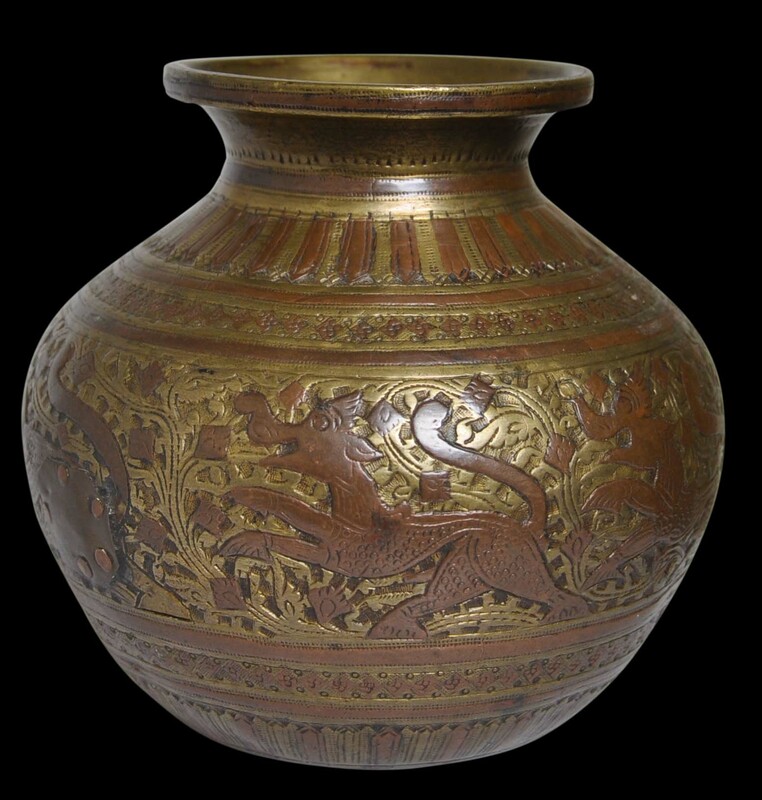 It is of brass but inlaid with copper to delineate six mythical long snouted makara-like creatures which appear to be chasing one another, within lotus petal borders. We are unaware of another lota that is decorated with such creatures. 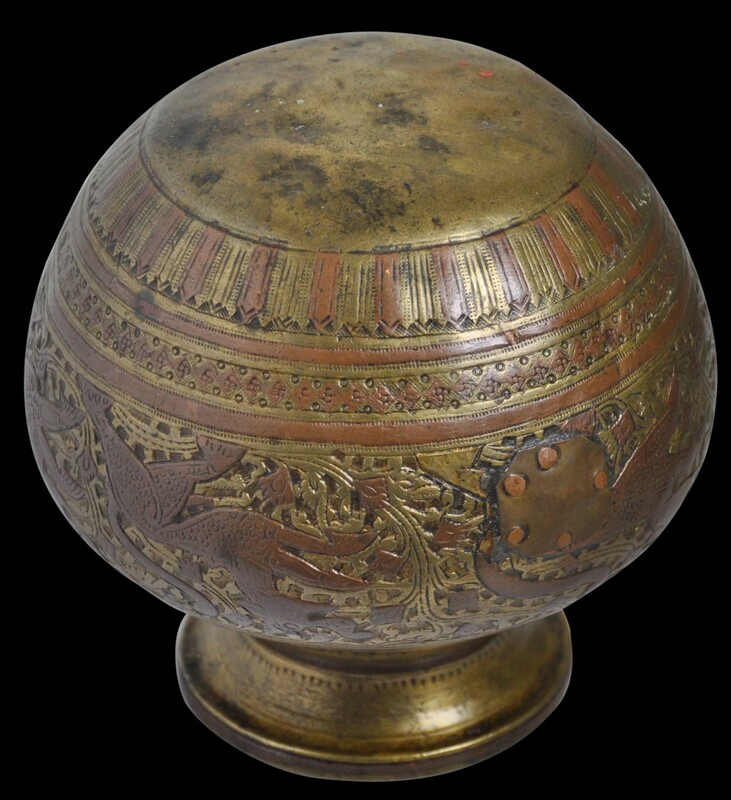 This type of metalwork whereby copper and brass are used in the one item is known as ganga-jumna metalware. ‘Ganga’ refers to the River Ganges and ‘Jumna’ to the River Jumna (also called Yamuna). The Jumna is the longest tributary river of the Ganges in northern India. It travels a length of 1,376 kilometres (855 miles) before merging with the Ganges at Triveni Sangam, Allahabad, the site for the massive Kumbha Mela festival every twelve years. It is the longest river in India that does not directly flow into the sea. 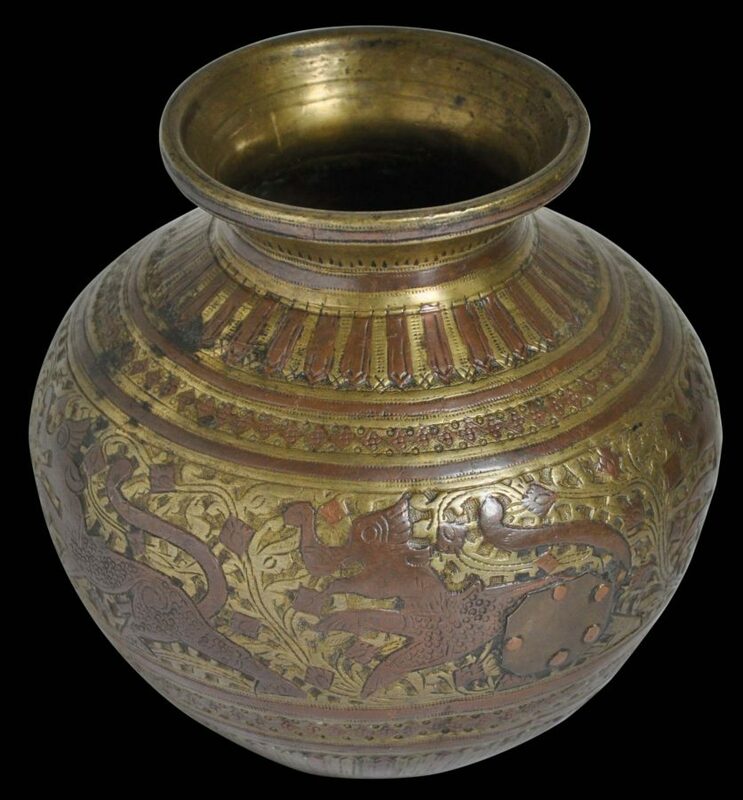 The water of one has a slight yellow hue on account of he alluvial mud suspended in its waters, whilst that of the other has a reddish hue, and so in this vessel, the two rivers are represented by yellowish brass and reddish copper, with the combination ion the one vessel being symbolic of their merging and mixing at Triveni Sangam. Such a vessel was made to store lustral holy water, perhaps from the Ganges. The vessel here has a excellent wear and patina and is in fine condition. A small copper patch has been riveted to the side to cover a small hole, and the patch and the copper rivets themselves have a great deal of wear and patina!